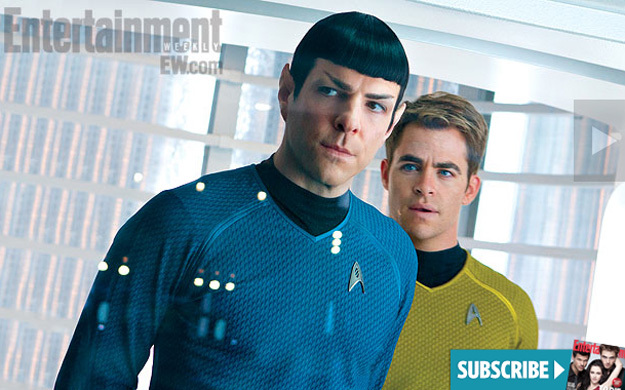 UPDATE: Entertainment Weekly drops new STAR TREK INTO DARKNESS images, cover and the true villain revealed??? 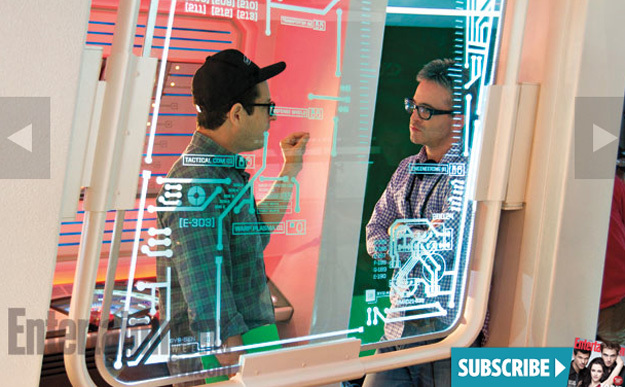 In this week’s EW we give you an exclusive first look at the space age sequel that has geekdom waiting with bated breath. 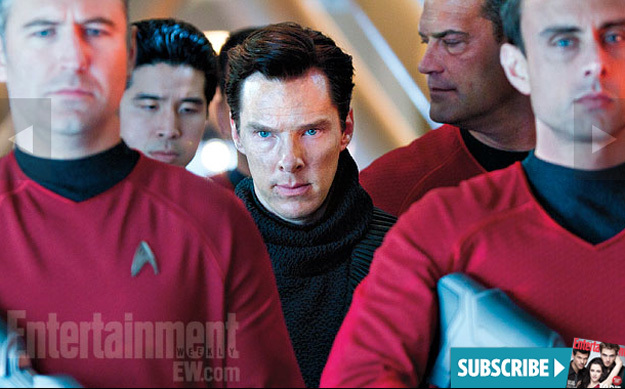 Star Trek Into Darkness, due May 17, has sparked feverish online speculation since the day it was announced — most of it about whether or not the film’s resident baddie, John Harrison, played by Sherlock star Benedict Cumberbatch, is actually the infamous super villain Khan. 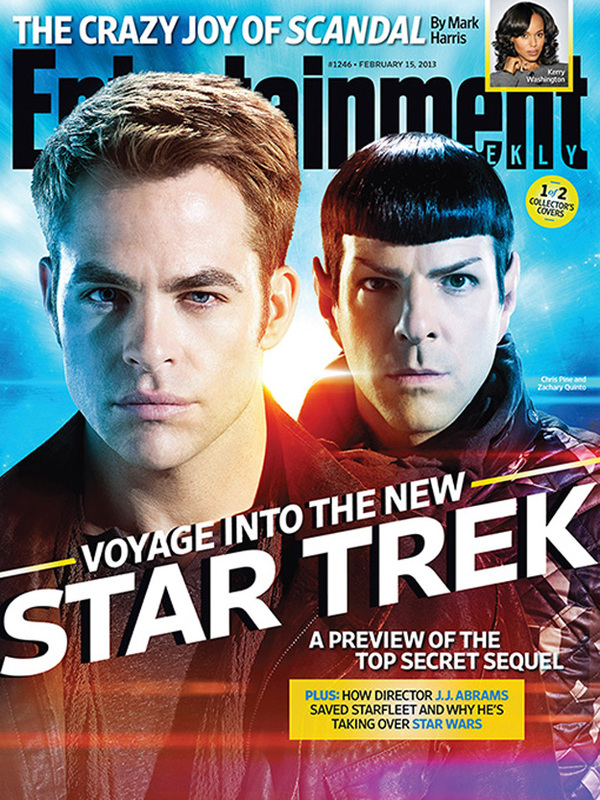 Oh boy, Entertainment Weekly is dropping all sorts of new information regarding this summer’s blockbuster sequel STAR TREK INTO DARKNESS. 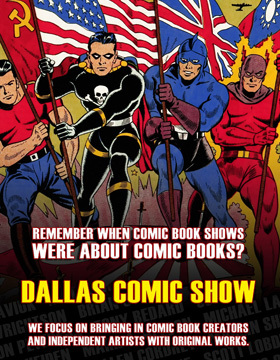 Ok, so instead of waiting to the end, I am going to spill the information right here and now. 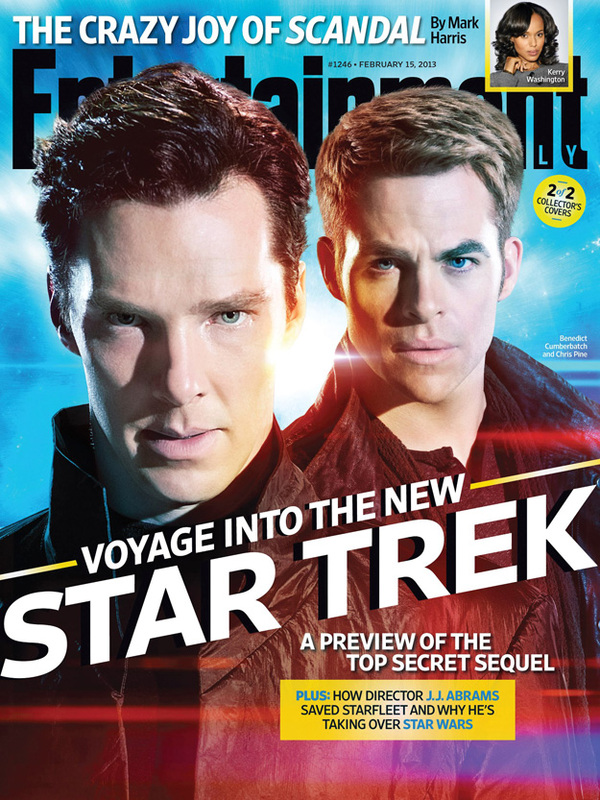 According to them, Benedict Cumberbatch is not playing John Harrison, as previously reported. He is not even playing Gary Mitchell, a crew member turned villain from the original television series. 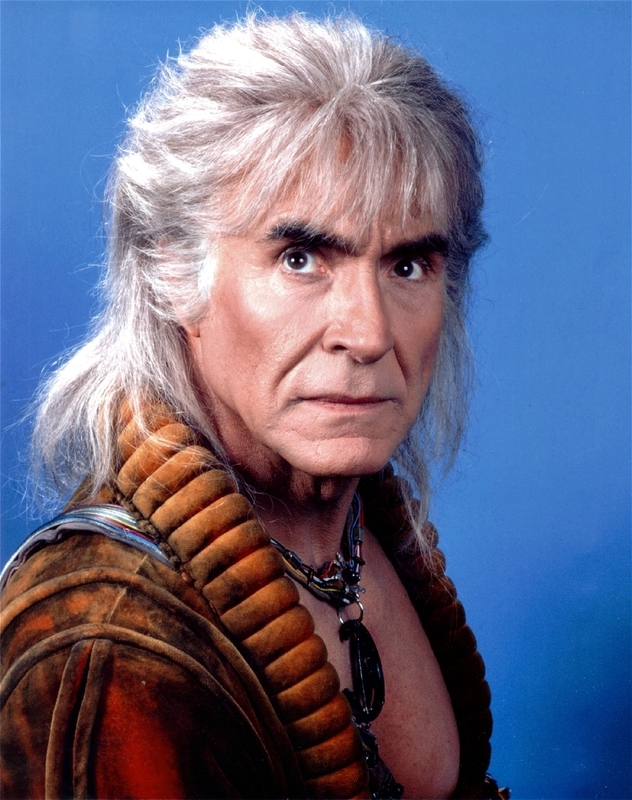 He is, in fact, playing rumored-for-long-time super-baddie KHAN!!!! . 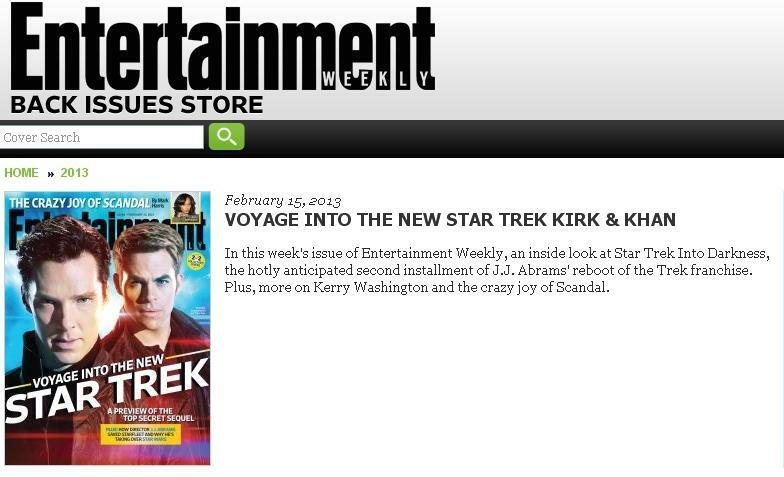 . .
As the smart eyes over at ComicBookMovie.com pointed out, Entertainment Weekly has described their latest issue as “VOYAGE INTO THE NEW STAR TREK KIRK & KHAN”. Now again, this could be a SERIOUSLY huge mistake on Entertainment Weekly’s part, however with the issue being a STAR TREK INTO DARKNESS centric issue, one would have to imagine that they got their facts straight on this one. 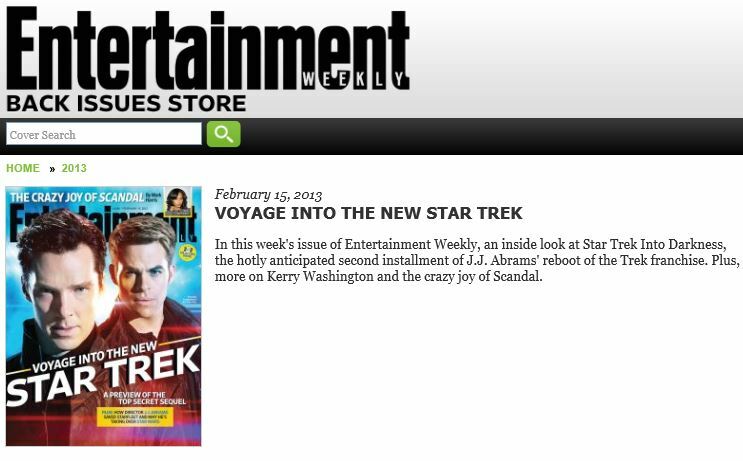 The specific issue goes on sale on February 15, 2013 so be sure to get your copy when it does. 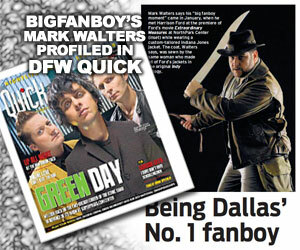 In addition to the news, you can check out the two covers above and five images from the magazine below. Ok, so what are your thoughts? Are you ok with Cumberbatch playing the iconic villain made famous by Ricardo Montelban? STAR TREK INTO DARKNESS is directed by J.J. Abrams and stars John Cho, Bruce Greenwood, Simon Pegg, Chris Pine, Zachary Quinto, Zoe Saldana, Karl Urban, Anton Yelchin, Benedict Cumberbatch, Alice Eve and Peter Weller. 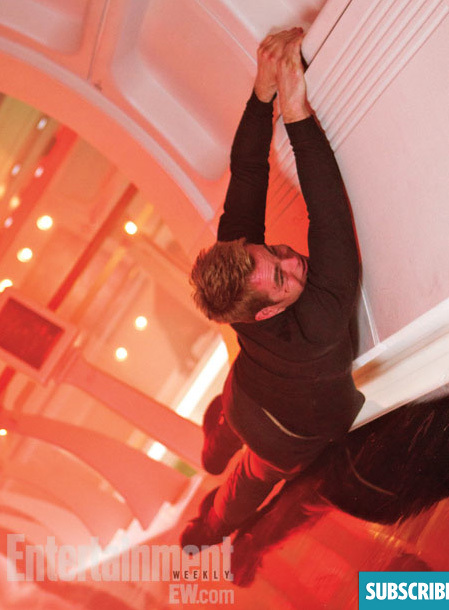 STAR TREK INTO DARKNESS is set to hit 2D, 3D and IMAX 3D theaters on May 17, 2013.